There are many signs of summer in Westport: The Yankee Doodle Fair. The 2nd of July fireworks. And music on the Saugatuck Sweets plaza. The series kicks off this Friday (June 15). The Dave Kardas Band plays from 6:30 until 9 p.m. If you enjoy great ice cream and fantastic music by the river, you know how great this is. If you don’t, I’m sorry. This is not the Dave Kardas Band. 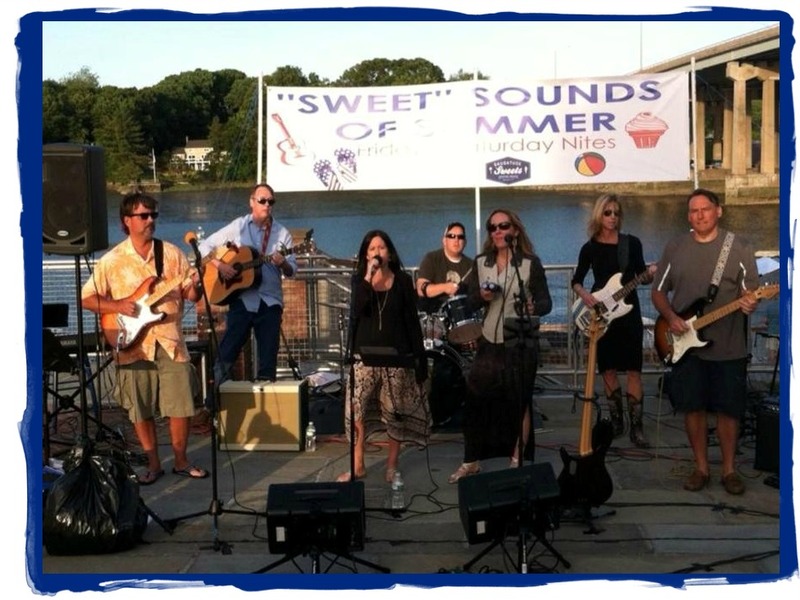 But it’s what the “Sweet Sounds of Summer” series looks like, at the plaza by the river. This entry was posted in Entertainment, Local business, Saugatuck and tagged Dave Kardas Band, Saugatuck Sweets. Bookmark the permalink.